I love bean salads. They’re easy to make, healthy, and they keep you regular. I also think they’re beautiful, like edible confetti. Keep in mind that poblanos vary significantly in heat, from mild heat to almost none at all (the one used in the above shot wasn’t hot, sadly). Heat lovers should consider substituting a large jalapeño for the poblano; just be sure to use gloves or wash your hands immediately, so you don’t get burns. 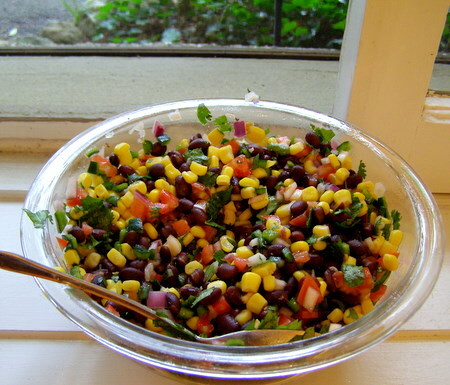 Mix black beans, corn, cilantro, poblano, red onion, and tomato in a large serving bowl. Whisk olive oil, lime juice, salt & pepper together, and pour over salad. Stir to coat evenly, serve. 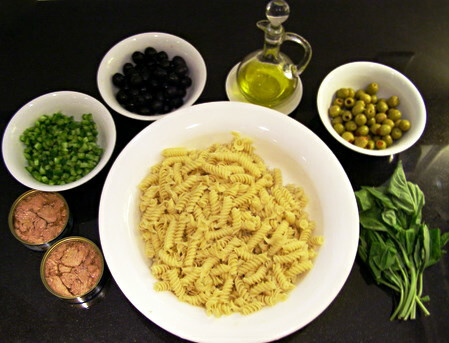 Dinner Friday night turned out better than expected, so I’m sharing the recipe. 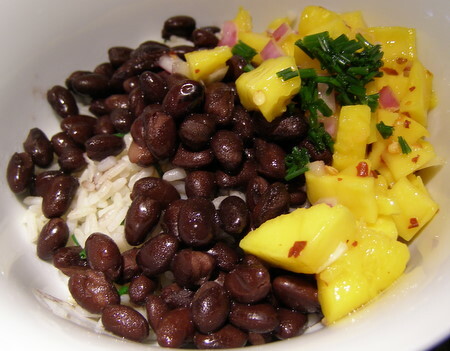 I had planned to make black beans and rice, with lime, avocado, and chives–standard it’s-Friday-I’m-tired fare. When it came time to cook, however, the avocado wasn’t ripe enough, so I went pantry hunting. A salsa seemed like the best bet, but we didn’t have peppers, tomatoes or cilantro. We did have two rapidly aging yellow mangos no one seemed to want, however, and a red onion. The result was an amazing mix of textures and spicy-sweet-salty flavor. Add rice to saucepan. Add water; determine the correct amount of water by using the knuckle method. Cover pan, put over high heat, and wait until the lid shudders from the foaming water & steam. Turn heat to low, and let cook 15 minutes. Remove pan from heat, and let sit 15 minutes more, without removing the lid. When rice has finished cooking, add 1 to 2 tbsps chives to the rice, and mix well. When rice has 15 minutes left, heat the black beans according to can instructions. I love Goya black beans, and they’re available almost everywhere. They also have a lot of salt, which means you shouldn’t add much to the rice or salsa. Combine mango and red onion, watching the proportions (you want about a 5:1 ratio of mango to onion). 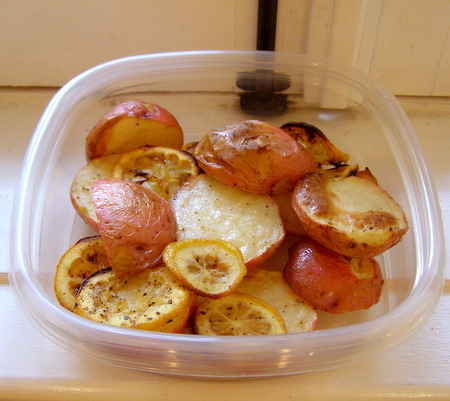 Add lime juice and red pepper flakes, mix well, and salt to taste. 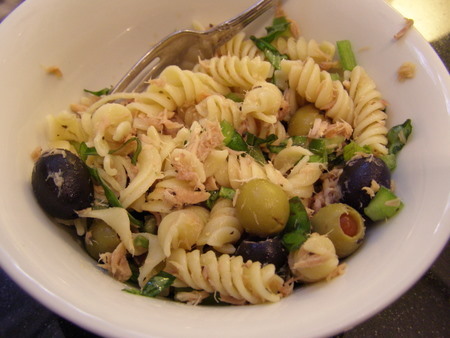 Combine all three parts in individual bowls, garnish with chives, and serve.